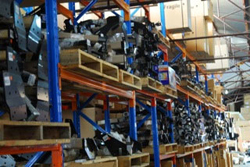 Auto Extra is conveniently located in Frobisher Street, Osborne Park, just off Scarborough Beach Road. The store is only a few minutes’ walk to the Glendalough train station, 3 stops from Perth CBD. Access by vehicle is easy as Auto Extra is only a minute from the Hutton Street exit of the Mitchell Freeway. With coffee shops and cafes nearby, and the extensive retail environment of Osborne Park on the doorstep, what better spot could there be for us to take care of your vehicle. If you want to wait, we have a comfortable waiting area with a high resolution flat screen TV to pass the time. With over 20 years in the business the team at Auto Extra certainly know vehicles and are at the forefront of new vehicle towbar installations. 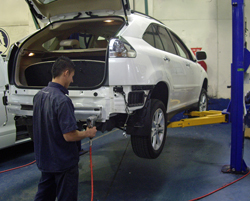 Your vehicle fitment is entrusted to our MRB licensed repairers in our air-conditioned workshop. The business at Auto Extra has been built on supplying and fitting only the best quality brands of aftermarket accessories. 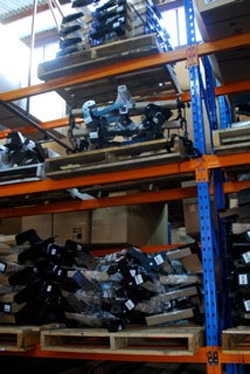 It is these brands such as Hayman Reese Towbars, ECB Bullbars, Rola Roof Racks, Milford Cargo Barriers, Hella Lighting and Thule Roof Racks, to name but a few, that has given Auto Extra the enviable reputation it has today in the industry. Auto Extras close partnership with these leading manufacturers ensures the business is kept at the leading edge of industry developments.